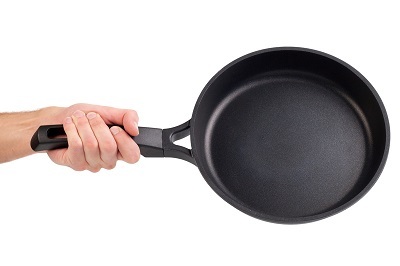 When it comes to cookware, people technically have only two good choices: so-called “non-stick” cookware and those made of professionally anodised aluminium. These two types of cookware are usually pitted against each other, though it shouldn’t be the case all the time. Case in point: anodised aluminium. The latter is essentially conventional aluminium which has been oxidised so that its surface doesn’t react with anything anymore. Aluminium on its own is good in a lot of ways: it conducts heat efficiently, allowing for less lost time due to waiting for a pan to heat up, and the resulting surface from the anodising process actually makes it much better than a standard non-stick option. Furthermore, anodised aluminium cookware doesn’t scratch or chip, and are sturdy enough to withstand temperatures of up to 204 degrees Celsius.